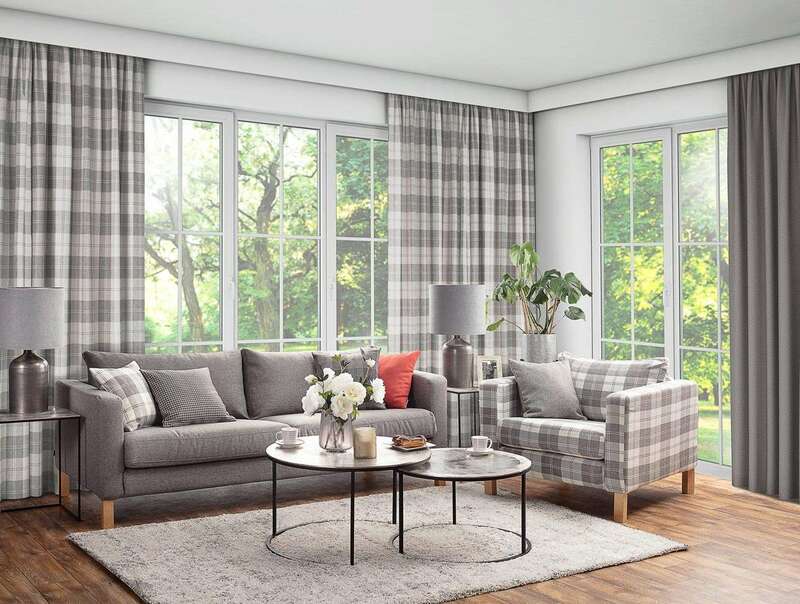 Our new Edinburgh fabric collection is a range of densely woven checks and plain fabrics, inspired by the beautiful architecture and landmarks of Scotland's capital city. All fabrics in this collection are suitable for upholstery and other decorative uses. The structure and colours of Edinburgh fabrics echo the style of traditional British woolen textiles with a slight nod to the Scandinavian style. 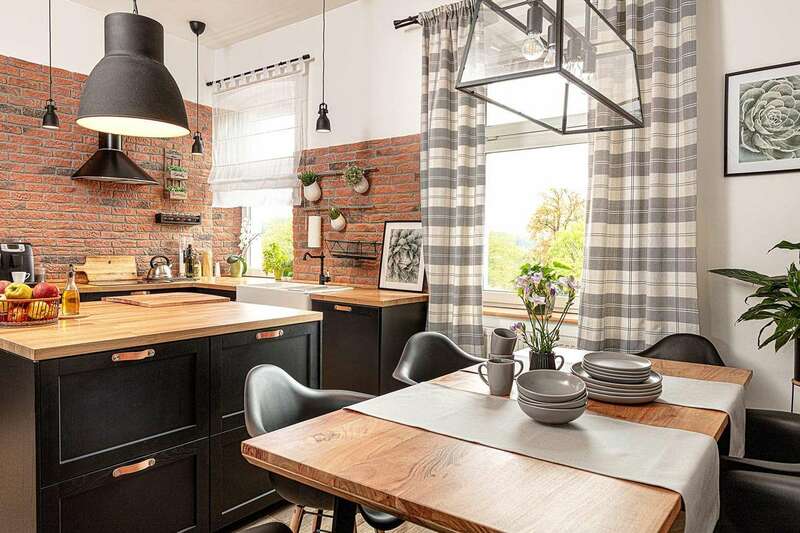 Mixing the plain and check fabrics lets you create balanced and elegant interiors. 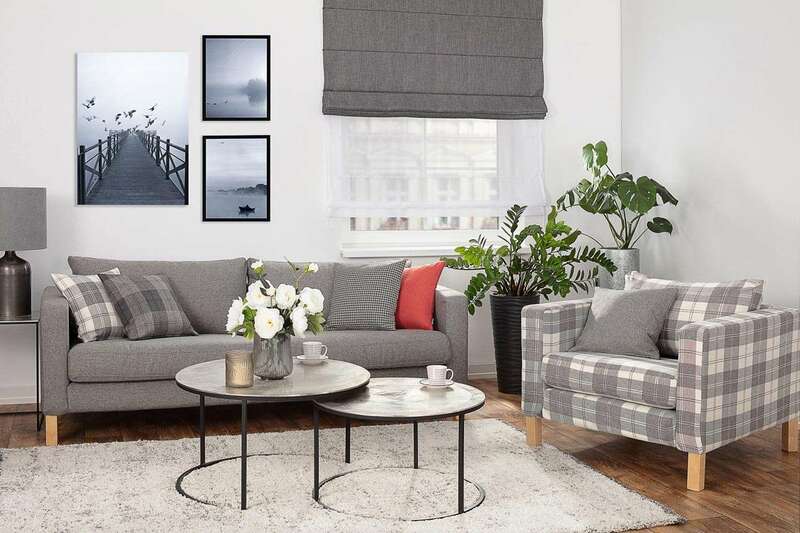 Edinburgh looks its best as a sofa cover for a stylish feature piece or a few mixed and matched cushions that add some comfort and style. Fabrics from the Edinburgh collection suit most interiors, from grand classic homes to modern flats and cosy country cottages. Recommended washing temp. 30 ºC.